Elemental Pursuit is an interactive lesson plan based on the Ontario Grade 9 Science (SNC1D/P) curriculum. This tool demonstrates to students the key characteristics of the first 20 elements on the periodic table by using multimodalities. 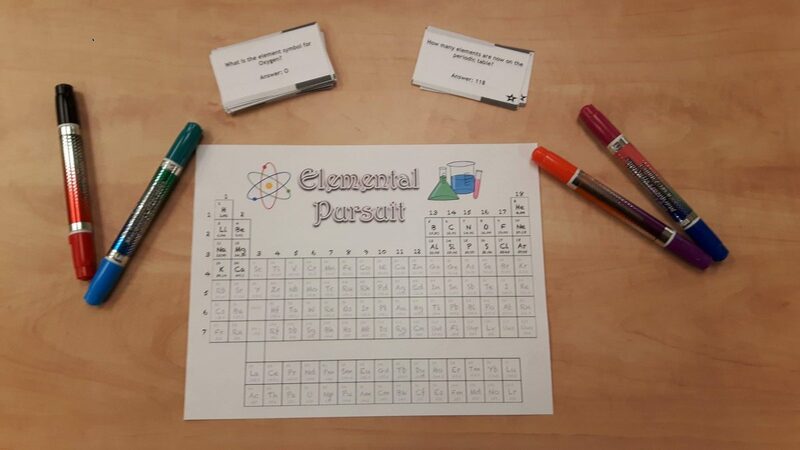 Students will be able to identify major features associated with the periodic table and specific elements through an interactive board game in which each student have to identify and locate an element on the periodic table based on the element’s associated characteristics that is outlined on the cards. and we learn things". Simulation & Gaming. your curriculum needs. School Library Journal, 55 (5), 24-26. Tucker, B. (2012). The flipped classroom. Education Next, 12, 82-83.